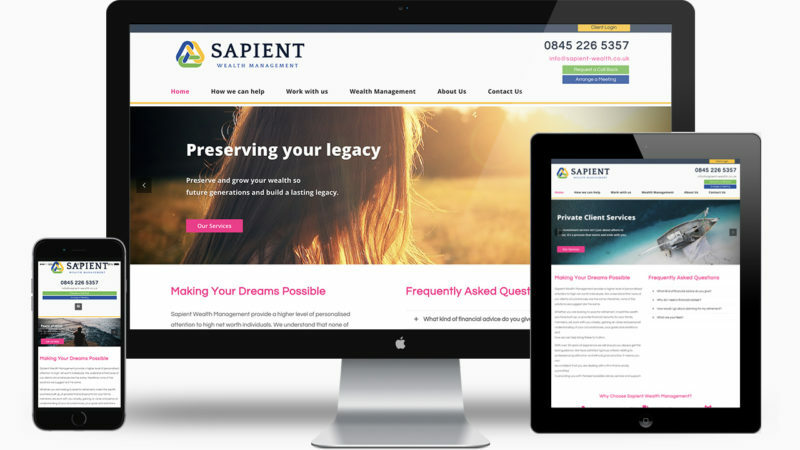 This week we launched a new website for our financial professionals over at Sapient Wealth Management in Coventry. It has been a very interesting project and one that reflects what we do perfectly for our very busy clients. The project was delayed initially due to our client ‘having too much work on to be able to help’. So this was the perfect opportunity to put our money where our mouth is and prove what we say ‘when you work with us, we work hard for your business, as if it were our own’. You see, we mean what we say. We work alongside you, like an extension of your business (without having to worry about pensions or time off!) and we can help you create a brand that you’re proud of without you having to break into a sweat. All we really need from you is a few pointers and then a little bit of time to review what we have done and you’ll find that before you know it, your brand has developed the way you wanted it too whilst you have been left doing the work that makes you the success you are. Head over to our portfolio to read about this project for Sapient Wealth Management or any of the other projects we’ve helped numerous clients with. 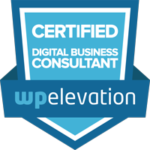 And if you’re looking for a new website but worried about the amount of work you think you may have to put in, then why not contact us to arrange a call or meeting?